Thoughts: Impossible to put down. Lord Alex Stelton can't resist a challenge, especially one with a prize like this: protect a castle on the Scottish border for a year, and it's his. 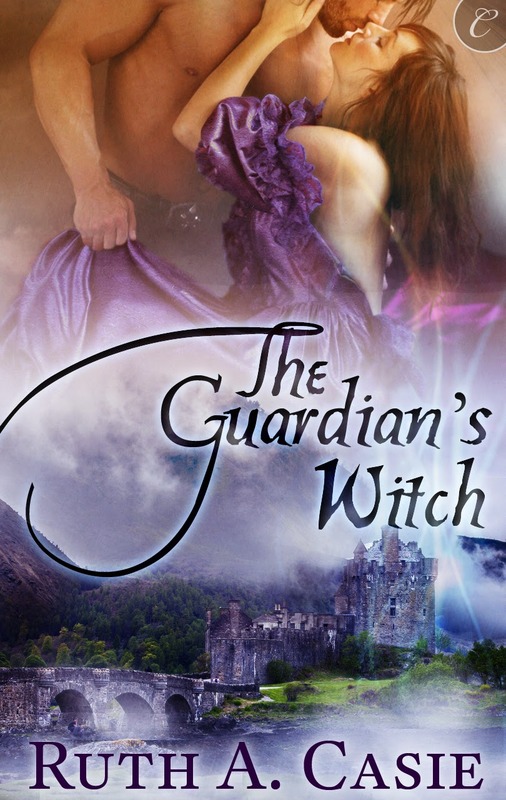 Desperate for land of his own, he'll do anything to win the estate—even enter a proxy marriage to Lady Lisbeth Reynolds, the rumored witch who lives there. Feared and scorned for her second sight, Lisbeth swore she'd never marry, but she is drawn to the handsome, confident Alex. She sees great love with him but fears what he would think of her gift and her visions of a traitor in their midst. Despite his own vow never to fall in love, Alex can't get the alluring Lisbeth out of his mind and is driven to protect her when attacks begin on the border. But as her visions of danger intensify, Lisbeth knows it is she who must protect him. Realizing they'll secure their future only by facing the threat together, she must choose between keeping her magic a secret and losing the man she loves. If you love fantasy, you'll love this novel. Ruth A. Casie does an amazing job at weaving words into a story that takes you back in time. The descriptions, dialect, and characters all work together to create a book that is impossible to put down. Entranced: A Halloween Box Set - $0.99 Goodie! House Of Horrors by Carole Gill - $0.99 Goodie!